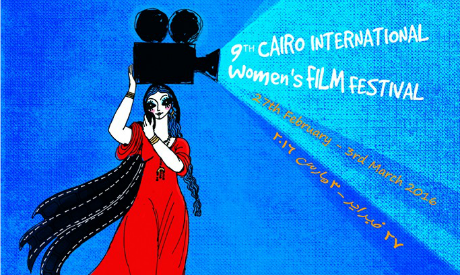 The 9th Cairo International Women’s Film Festival will start from the 27th of February and last until the 3rd of March. During the festival, 60 films from wide selection of the most remarkable works of women coming from 40 countries are going to be presented and they were previously presented in other international conferences. The festival will open with the Japenese Naomi Kawese’s “Still the Water”. The movies as stated in the Festival’s press release, will take place in the following places: Creativity Centre (Opera house), Falaki Theatre (A.U.C campus) and Geothe institute (Downtown). Noting that all Films are subtitled in Arabic as well as English. The festival aims to exchanging ideas with international guests coming from Lebanon, Palestine, Argentina, Spain, The Netherlands, Denmark, Finland, Germany and Switzerland. Founded in 2008, The Cairo International Women’s Film Festival started as Cairo international Arab and Latin Women Festival, and since it started it is pioneer in Egypt and Arab world. Over the years, it became an international festival that includes films from all over the world in 2013 in its 6th round. Besides “Still the Water” (Japan) by Naomi Kawase, “Frailer” (The Netherlands) by Mijke de Jong, “speed sister” (Palestine- USA) by Amber Fares, “Tea Time” (Chile) by Maite Al Berdi, “Suspended time” Mexico by Natalia Bruschatien and” Wild Women” (Switzerland) by Anka Scmid are some of the films to be screened during the festival. The Lebanese Movie “Because Roots Don’t Die” by Nabeeha Lotfi will be screened in memorial of the late filmmaker who passed away last year. Denmark is the “Country of Focus” of the year with the selection of 6 awarded films like “In Your Hand” and “Speideh”. The Finnish filmmaker Prijo Honkasalo will be among the festival guests with a selection of her remarkable works including the award winners’ films: ‘Concrete Night”, ‘Fire Eater”, “The 3 Rooms of Melancholia” and flame top. The 9th Cairo International Women Film Festival is organized by kalaket in collaboration with KCD (Kultura, communication y Dessarollo, Spain), American University in Cairo, Gothe institute , the Association of Scientific and Culture development, Falaki theatre, Eyefilm Institute, Culture development fund and a number of European embassies.